When you become a parent for the first time, it is too bad that baby does not come with a manual. One that tells you what and how to do things over the first few years of their lives. But there is no such thing. You learn on your feet, as well as from family and friends. 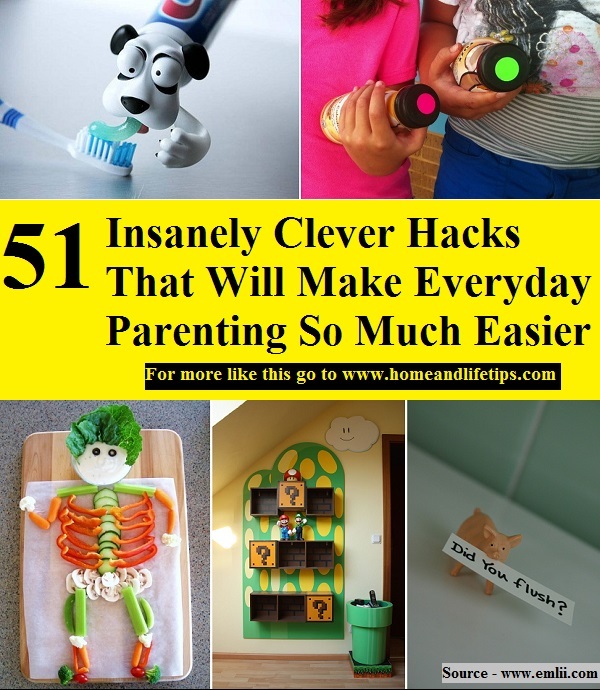 Another way is to read up on the hacks, tips and tricks from other parents. Here are 51 hacks thanks to emlii.com. Follow the link below to learn more parenting hacks and tricks to make parenting a little easier.